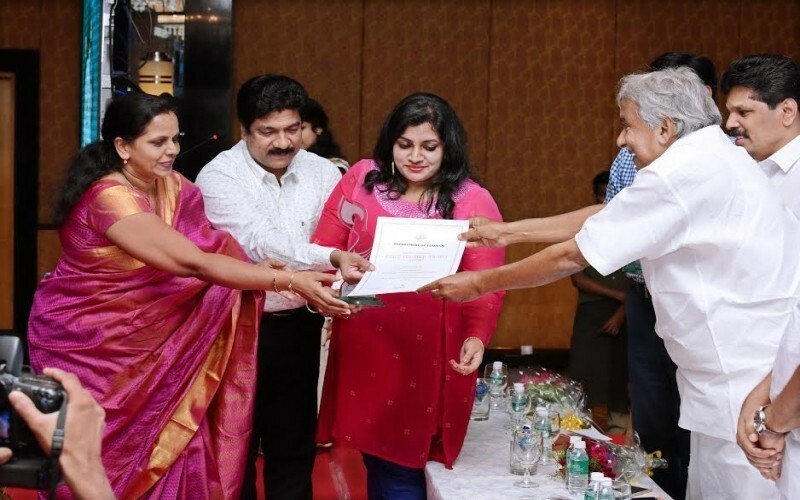 Somatheeram Research Institute and Ayurveda Hospital of Somatheeram Ayurveda Group have received NABH (National Accreditation Board for Hospitals and Health Care Providers) Accreditation of Qua lity Control of India. 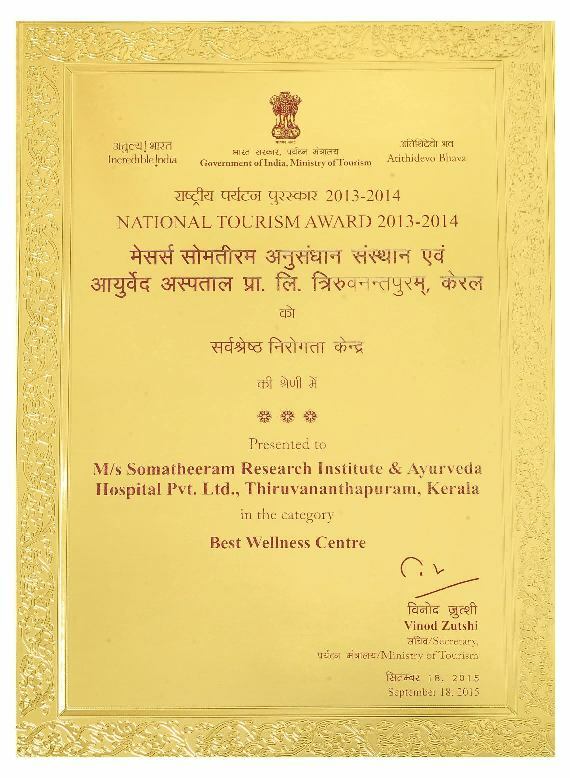 NABH is the highest National grading & recognition of India Government in the Hospitals and Health Care Providers. 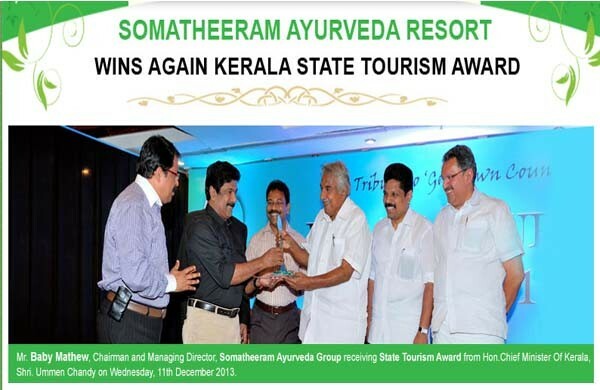 Kerala StateTourism Award 2015-2016 for Best Approved & Classified Ayurveda Center in Kerala. 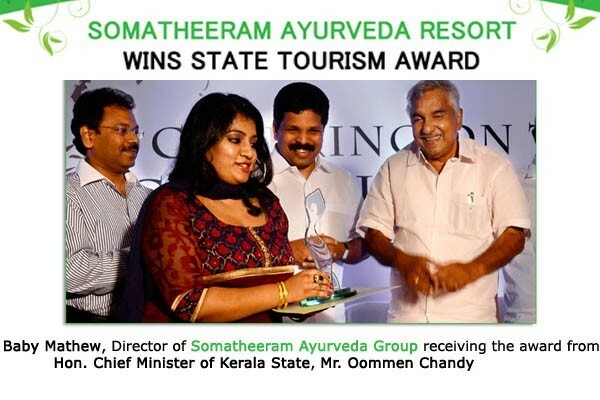 Somatheeram Ayurveda Group Wins Again Kerala StateTourism Award 2015-2016 for Best Approved & Classified Ayurveda Center in Kerala. 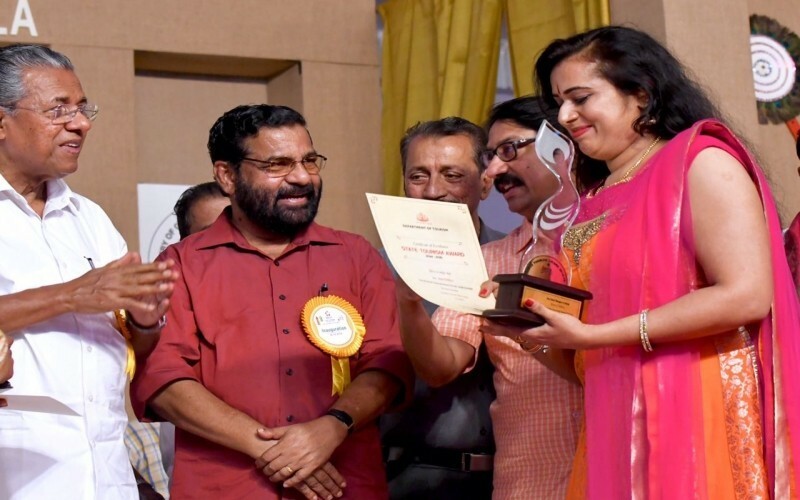 Mr. Baby Mathew, Chairman & Managing Director and Mrs. Sarah Baby Mathew, Director of Somatheeram Ayurveda Group has received this prestigious Award from Honorable Tourism Minister of India Sri. Alphons Kannanthanam. 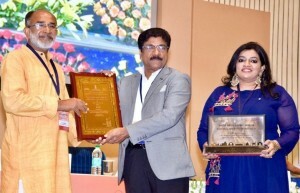 The awards ceremony, held at Vigyan Bhawan in New Delhi on 27th September 2017. 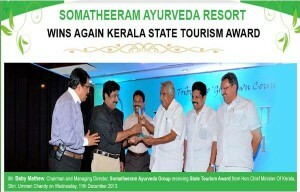 Somatheeram has fetched the coveted award three times by considering its performance of excellence towards the Quality & Standard Assurance, Hospital Hygiene and Safe Management policies, Corporate Social Responsibility, Eco-Friendly Concept, Innovative ideas in Ayurveda, Environmental Preservation and Customer satisfaction among the Ayurveda Hospitals and Wellness Centers in tourism sector of India. 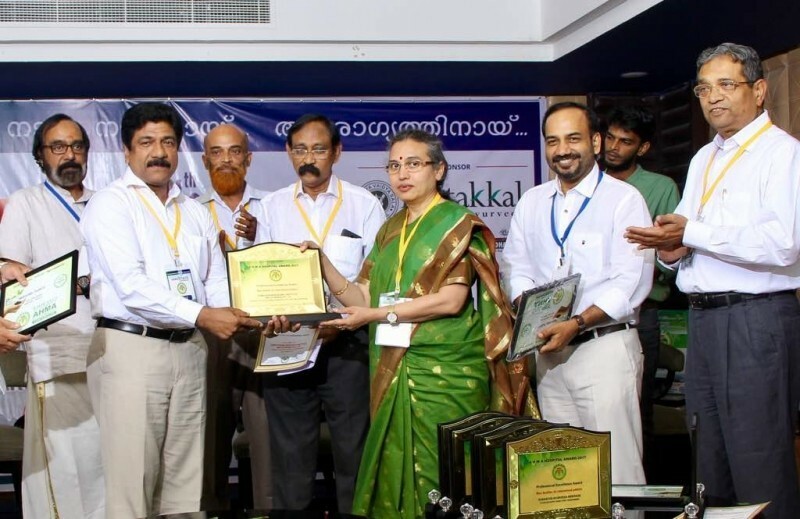 Award for the Best Ayurveda Centre in Kerala 2014-2015. 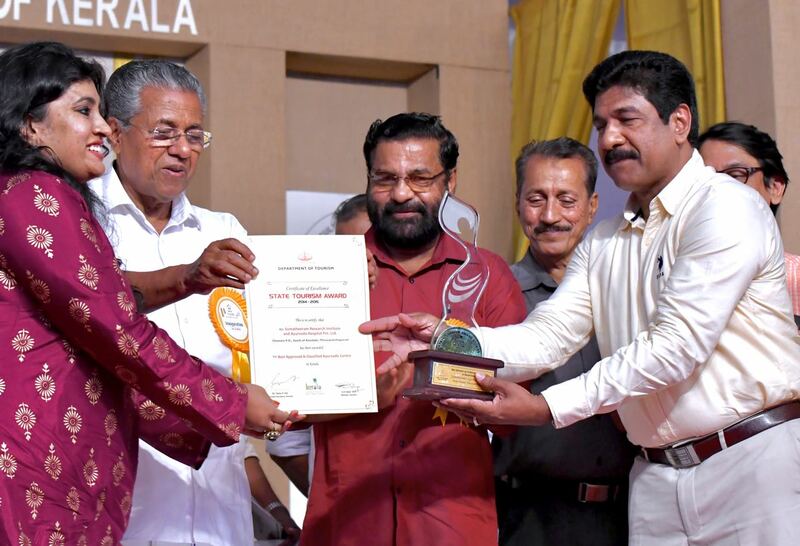 Kerala Tourism Award for the Best Innovative use of IT in tourism 2014-2015. 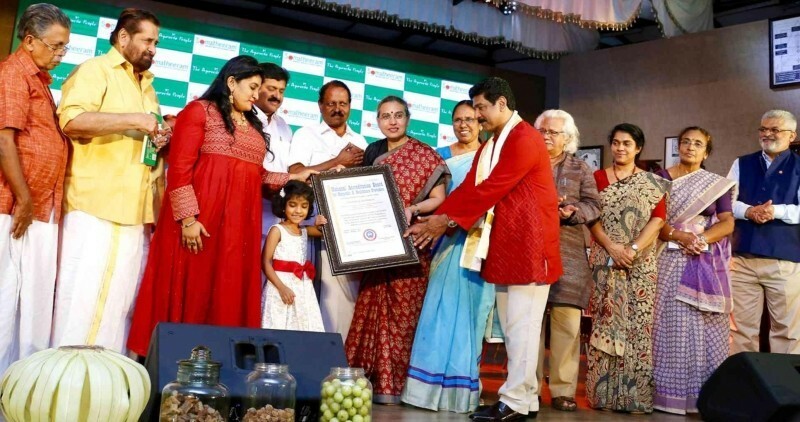 Mrs. Jayachithra, CGM-operations of Somatheeram Ayurveda Resort won the Kerala State Award for "Best Hotel General Manager" for the year 2014-15 for honouring her contributions to the growth of the Somatheeram Ayurveda Resort. 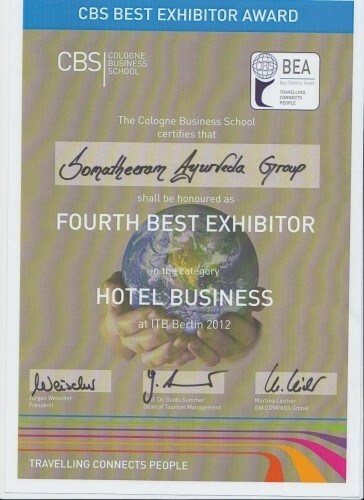 Her dedication and timely bound activities for the overall growth of the Hotel helped her to bag this prestigious award. Somatheeram Ayurveda Village has been selected for the prestigious Century International Quality Era Award” in the Golden Category - for excellence in the Global Tourism Sector during the year 2010 - announced by Business Initiative Directions (BID), Madrid, Spain, the prestigious international organisation involved in quality implementation worldwide. 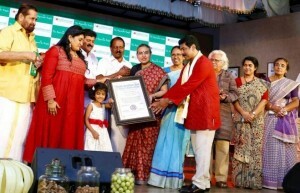 Ayurvedic Center at Somatheeram has been classified as 'Green Leaf’ by the Government of Kerala . 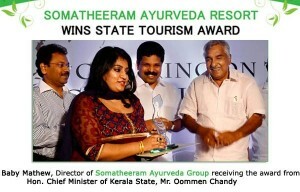 Somatheeram is a Classified Heritage Ayurvedic Hospital with a resort ambiance. Best Approved and Classified Ayurveda Center in Kerala 2010-11 Instituted by the Ministry of Tourism, Government of Kerala. 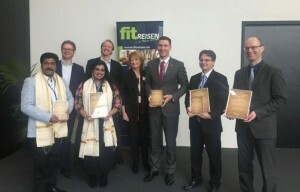 European Award for Best Practice 2011, Instituted by European Society for Quality Reaserch (ESQR), Spain. 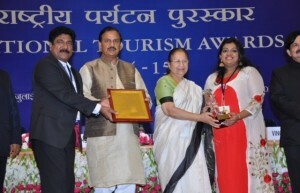 Global Ayurveda Festival award 2012, for excellence in Ayurveda and the cultural heritage of India. 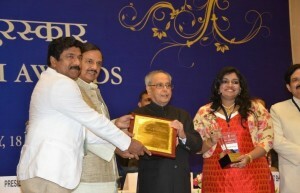 Seva Chakara Puraskar 2011 for Ayurvveda sector and best Ayurveda Research Institute & Ayurveda Hospital by AAJ TAK. 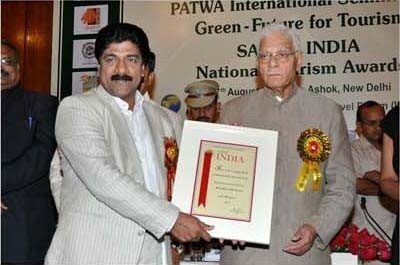 Green- Future for Tourism SAFARI INDIA National Tourism Awards 2011. 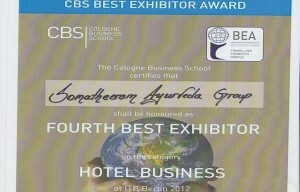 Ambdekar Award for the year 2011.
International Quality Award 2010 from BID Switzerland. 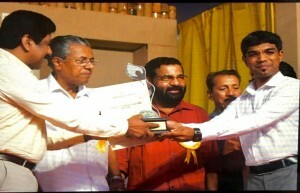 Tourism Achiever Award from ATOI 2010 .
Business Excellence award from Kerala Market. 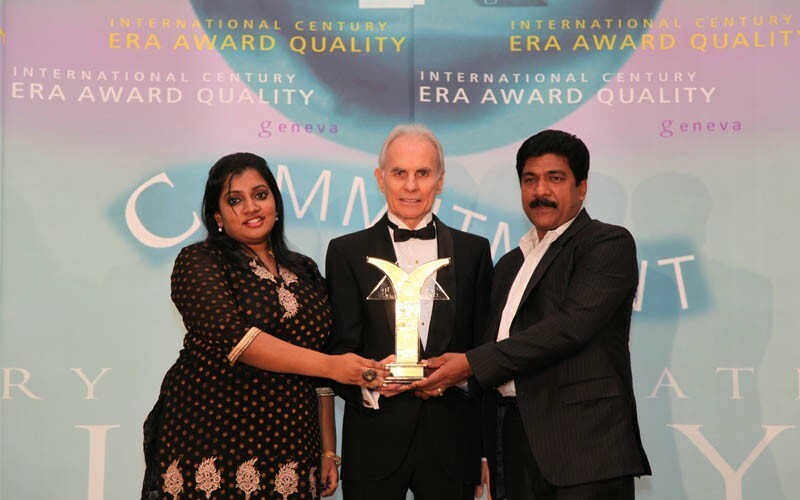 Best Ayurveda Centre Crystal Award 2005 by Spa Asia Wellness Media, Singapore. International Gold star Millennium Award 2004. Harpers & Queen Travel Awards 2002 for the “Best Ayurvedic Body and Soul Retreat”. 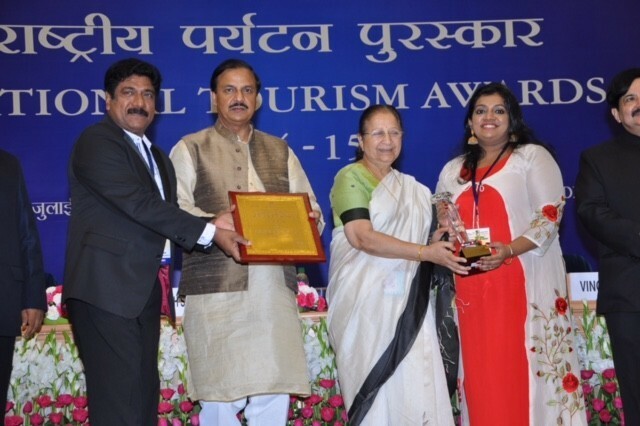 Business Excellence State award by Indian Jaycees, International for outstanding person in health tourism. 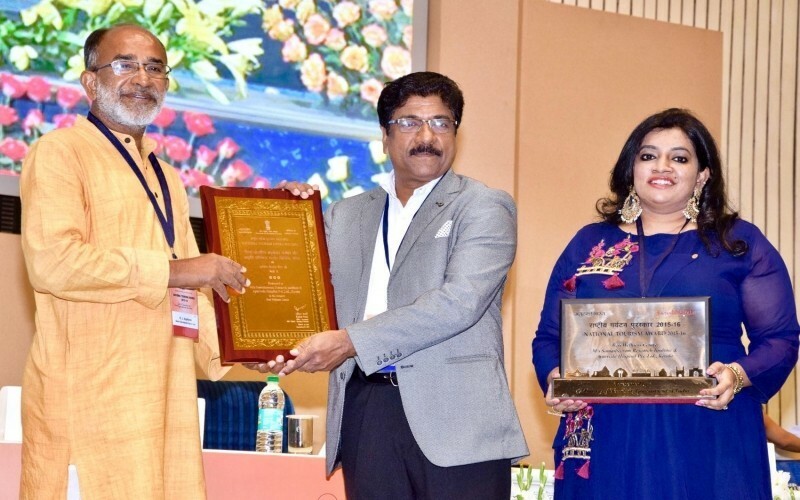 The National Businessmen, Industrialists and Professionals Award by Indian Jaycees, International for his efforts to popularize Ayurveda globally and the innovative tourism projects launched by him. 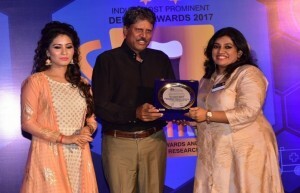 The Rashtriya Rattan Award for Outstanding Services, Achievements and Contributions by Global Economic Council. The Business Excellence Award, by the Global Kerala Festival Committee (NORKA, Tourism India, German Malayalee Association, Bharatiya Vidhya Bhavan London,and Diaspora Indian Association London) at House of Commons, London. 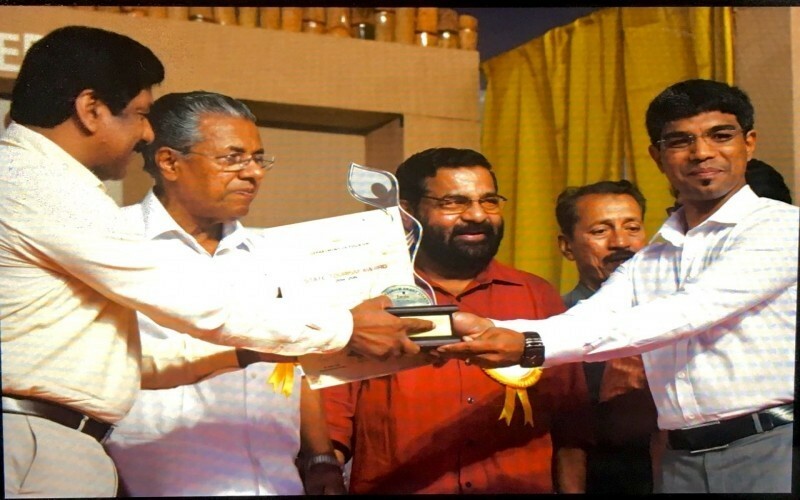 Tourism Excellence award by Merchants Association, Kerala. 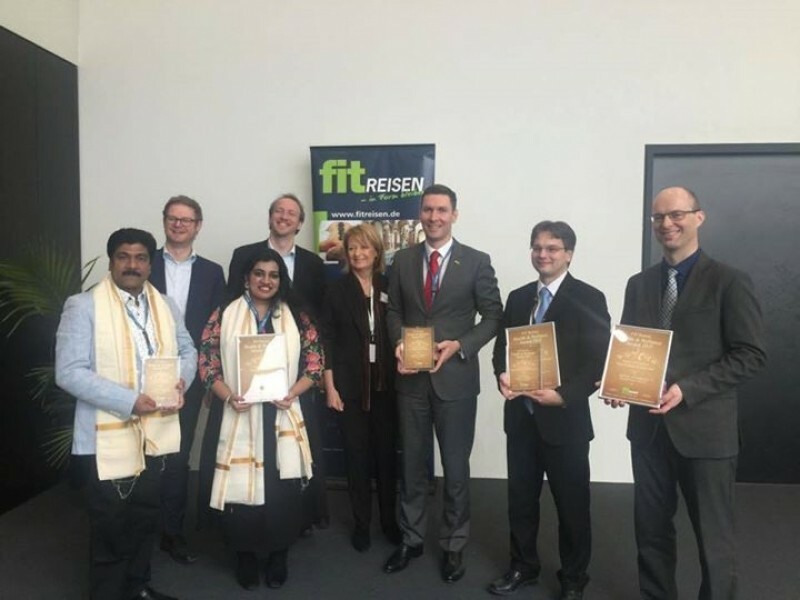 Eco-friendly Tourism Award by Natour, Switzerland for the tourism promotion in India and abroad. 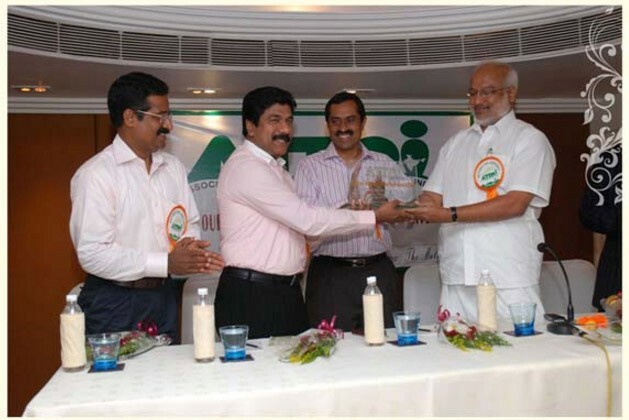 Ayurveda Promotions Award by Altrovolo, Italy for the promotion of Ayurveda. Sir George William Award from Y M C A.
Rotary fellowship award by Rotary Club. 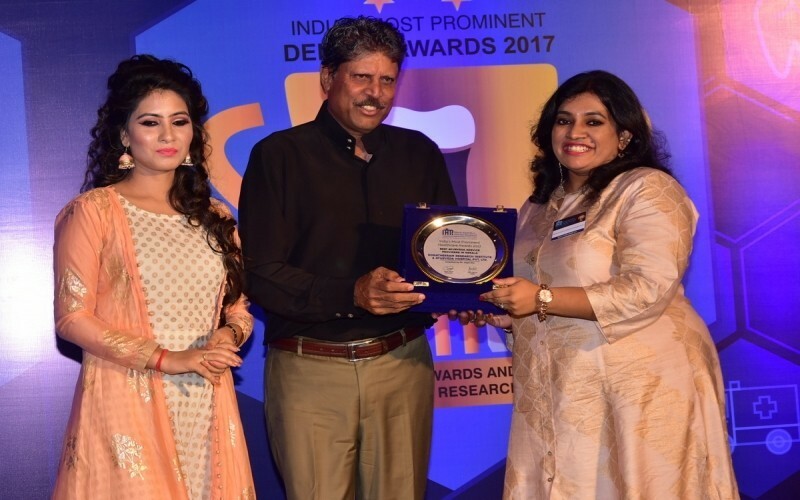 The Excellency Award for outstanding performance by Indroyal, ABC Sangamam.